Elkhart, In – Thor Motor Coach debuted the new Chateau 31Y floor plan to dealers last week during the RVIA National RV Trade Show. The 31Y offers a full wall slideout and swivel captain’s chairs, a first in the Chateau line-up. The 31Y features sophisticated interiors, high-sheen cabinetry, and solid surface kitchen countertops. Storage is not an issue with the innovative exterior MEGA-Storage™ compartment, large enough to hold full size bicycles or recreational kayaks. The MEGA-Storage™ compartment also includes a portable table. 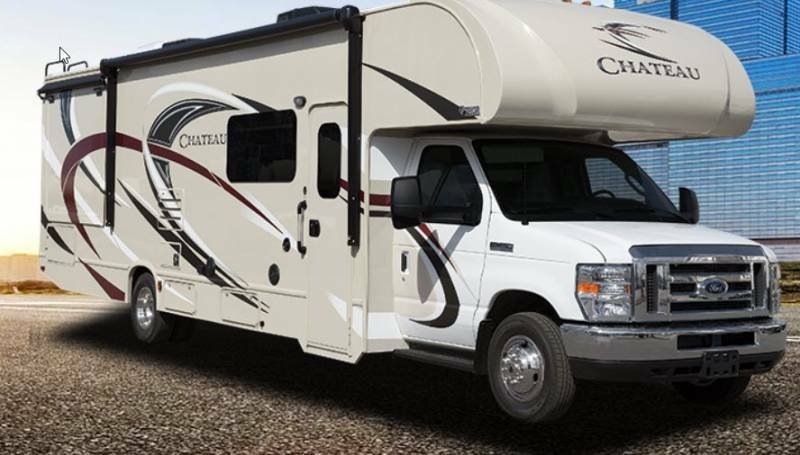 For more information and options available, visit thormotorcoach.com/chateau.